The Borg Warner EFR 6258 is the smallest of the EFR series with an inducer size of 49.6mm inducer and flows 44lb/min, even though it is the smallest it still packs a large punch! It has an ideal hp range of 260-440 and I was able to use every last but of it’s range getting 430hp out of it. One of the 6258s best features is it’s built in BOV which is a feature that all the EFR’s can come with, this made for one less item that I had to buy for the new turbo to be utilized. I obtained this turbo from Full-Race Motorsports as well as a Full-Race uppipe. 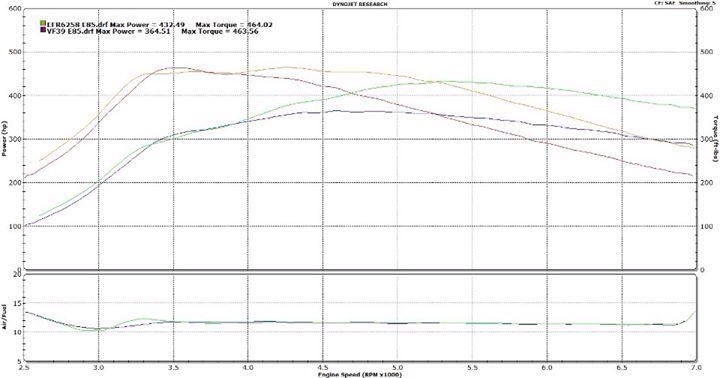 The main comparison will be versus a stock subaru STI turbo, this is a graph comparing a before and after of the turbo installation (other modifications included a FMIC and reverse intake manifold). With the Borg Warner EFR 6258 turbo the car was able to pick up substantial amounts of power as well as extend the power band. A great impact was that the lag was actually decreased but at the same time kept the car very similar to stock in terms of how the power would initially be applied to the car. This made it very adaptable and allowed me a very short learning curve and almost zero change to the driving style. The turbo was ran at 24.5 psi of boost tapering to 20psi near redline. Another item that is important to note is that this was on a stock Subaru STI block unaltered. 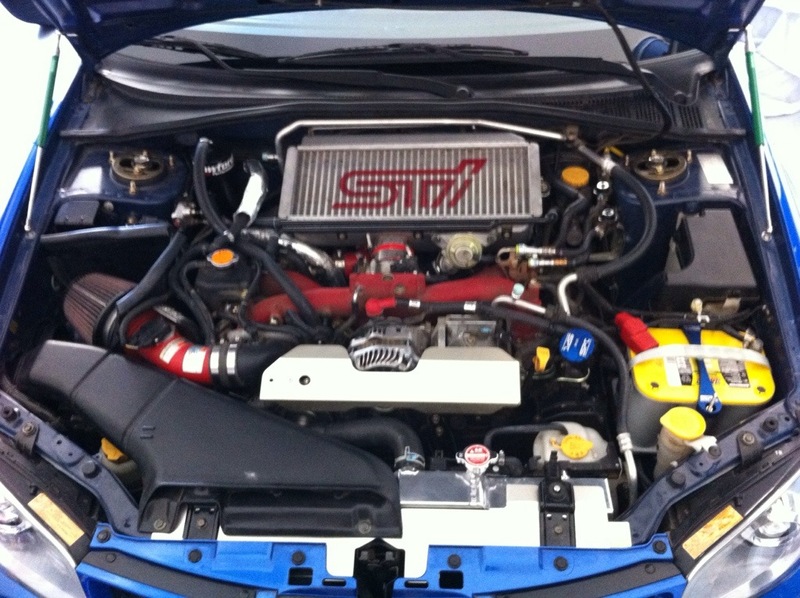 Here is my stock engine bay from a 2006 Subaru STI and in comparison the rotated setup of the EFR6258. 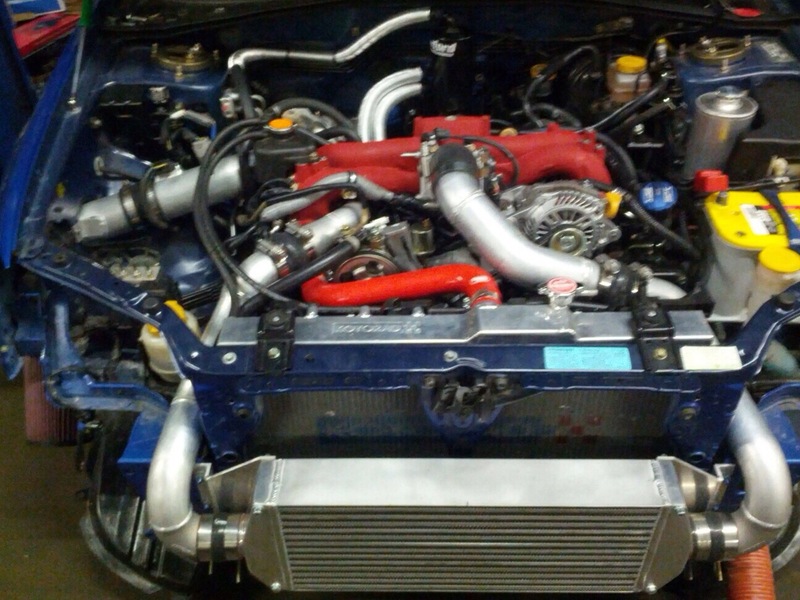 All of the fabrication work and tuning was completed by Yimi Sport Tuning and was done to the highest quality. My overall impression is that how could you not love this turbo, it allowed for more useable power and held up for a full season (over 40 track events and standard street driving) without any issues. This turbo was ran and won many races over this past season as well as performed without any issues which is exactly what you are looking for in a new turbo. 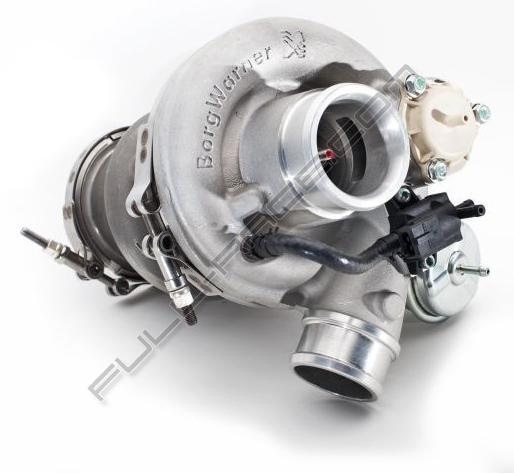 Without a doubt an EFR Borg Warner Turbo should be on your list of items to get for next year! 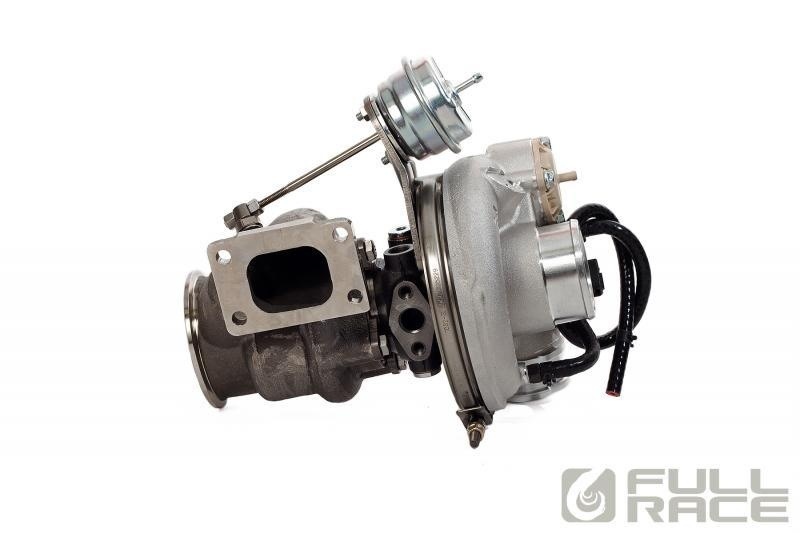 To order this turbo or other EFR series turbos visit Full-Race. This entry was posted in Product Reviews and tagged 6258, borg, efr, full-race, Jager, racing, turbo, warner. Bookmark the permalink.